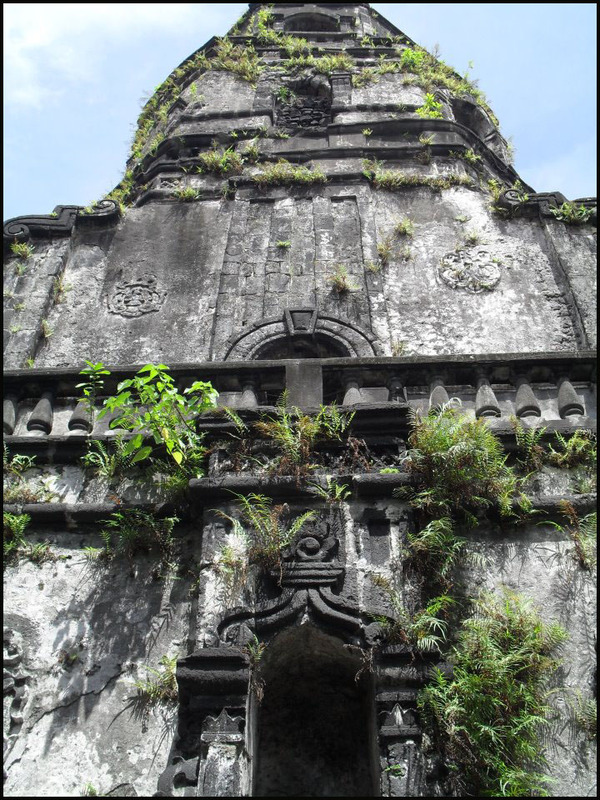 The Cagsawa Ruins (also spelled as Kagsawa or Cagsaua) are the remnants of an 18th century Franciscan church, the Cagsawa church, built in 1724 and destroyed by the 1814 eruption of the Mayon Volcano. They are located in Barangay Busay, Cagsawa, in the municipality of Daraga, Albay, Philippines. 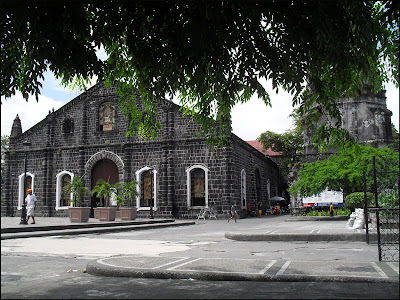 The baroque church of Cagsawa was built after 1724 by Franciscan friars under Fray Francisco Blanco in the small town of Cagsawa (spelled as Cagsaua during the Hispanic occupation of the Philippines). It was supposed to replace an earlier church built in 1636 that had been burned down by Dutch pirates. is an active volcano in the province of Albay, on the island of Luzon in the Philippines. Renowned as the "perfect cone" because of its almost symmetric conical shape, Mayon forms the northern boundary of Legazpi City, the largest city in terms of population in the Bicol Region. 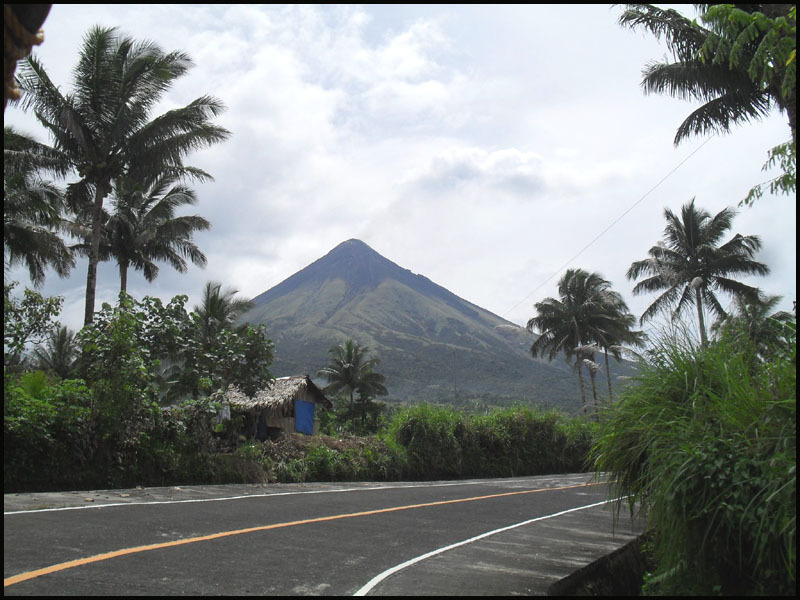 The mountain is a national park and a protected landscape in the country proclaimed as as Mayon Volcano Natural Park in the year 2000. When Mayon volcano erupted many years ago, the church was covered with lava and only the belfry remains to this day.